Rosearik Rikki Allen Simons (born September 8, 1970) is an American voice actor, writer, graphic novelist, and artist, best known as the voice of GIR in the Nickelodeon animated series, Invader Zim. 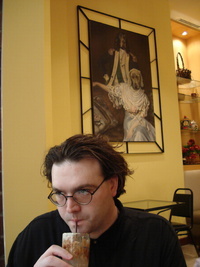 Simons also co-created and wrote the Robotech: Clone comic series. This webpage uses material from the Wikipedia article "Rosearik_Rikki_Simons" and is licensed under the GNU Free Documentation License. Reality TV World is not responsible for any errors or omissions the Wikipedia article may contain.